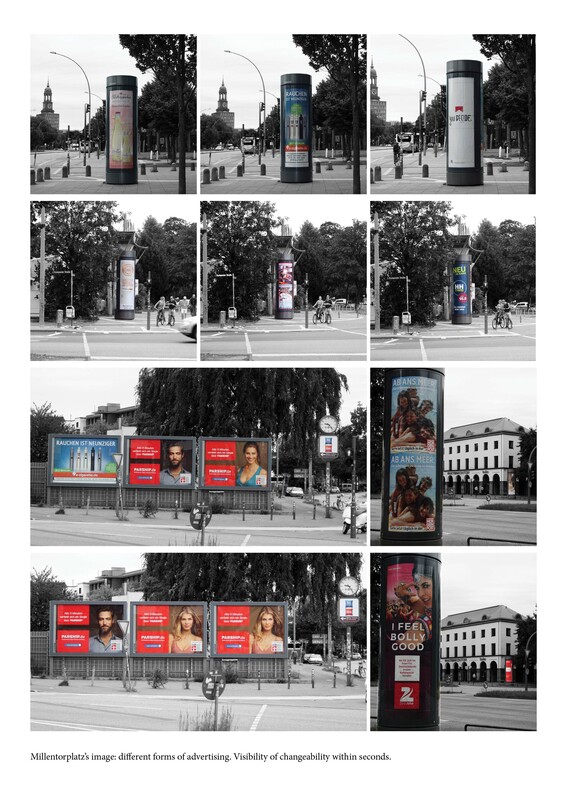 Using the “city of the many” and the outdoor advertising’s group-specific development as a context, the paper deals with the question of how advertising finds its place in the urban space. Furthermore, it explores the relationship between advertising, urban planning and space. 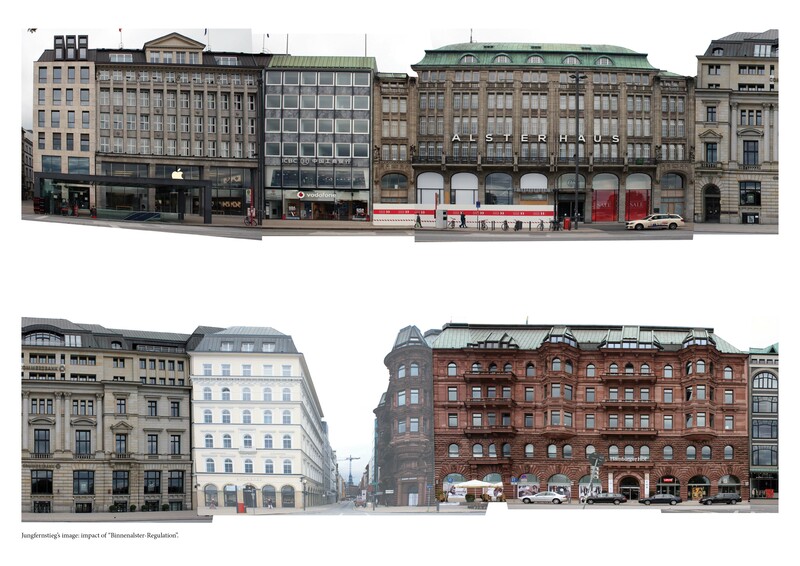 Thereby I examine the district of Mitte in Hamburg in two different settings: Jungfernstieg and Millerntorplatz. Starting in the urban space, the paper analyses different processes with the help of Grounded Theory and describes respectively discovers new connections using the Actor-Network-Perspective. Consequently, I identify three main aspects. Firstly, I argue that regulations and regulatory measures related to advertising are always relative and negotiable. Secondly, using Cronin’s concept of the remapped city, I recognize urban space as an important intersection between advertising operators and the urban planner, but at the same time also as a neglected element on the part of the city’s administration. Thirdly, I argue that this process volatilizes and destabilizes urban space, but also links it with new places by the city's decisions and the advertised content. Thus, the advertising reflects the residents’ practices and the complexity of Parapolis. Belliger, Andréa / Krieger, David J. (2006): Einführung in die Akteur-Netzwerk-Theorie. In: Belliger, Andréa / Krieger, David J. (Hg. ): ANThology: Ein einführendes Handbuch zur Akteur-Netzwerk-Theorie. Transcript Verlag. S.13-50. Cronin, Anne (2006): Advertising and the metabolism of the city: urban spaces, commodity rhythms. 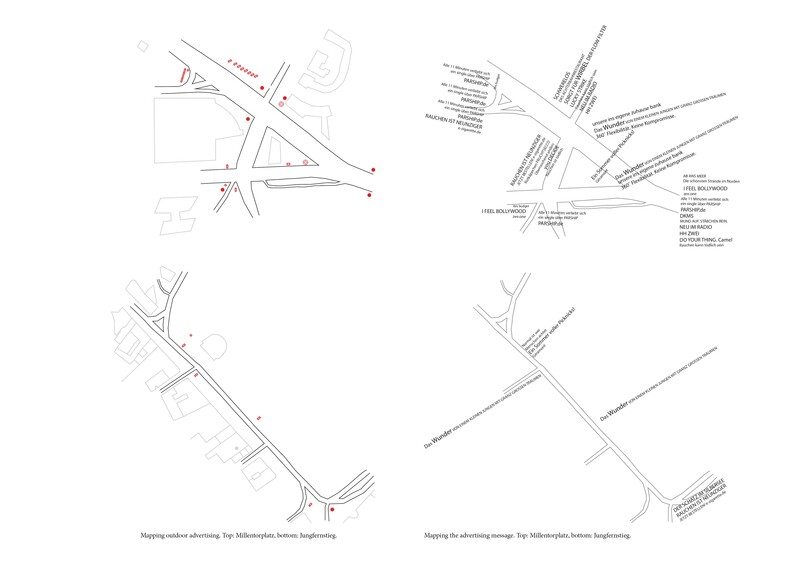 In: Environment and Planning D: Society and Space, 24 (4). S. 615-632. Farías, Ignacio (2011): The politics of urban assamblages. In: City, 15:3-4. S. 356-374. Terkessidis, Mark (2010): Interkultur. Suhrkamp Verlag, Berlin. Venturi, Robert / Scott Brown, Denise / Izenour, Steven (1979): Lernen von Las Vegas – Zur Ikonographie und Architektursymbolik der Geschäftsstadt. Bauwelt Fundamente 53. Braunschweig, Wiesbaden.